The Empowering Local Learners project is one aimed at improving the executive function skills of the students that we teach, we informally call these our 'Stop and Think' skills. "Executive function and self-regulation skills are the mental processes that enable us to plan, focus attention, remember instructions, and juggle multiple tasks successfully. Just as an air traffic control system at a busy airport safely manages the arrivals and departures of many aircraft on multiple runways, the brain needs this skill set to filter distractions, prioritize tasks, set and achieve goals, and control impulses." Making connections between seemingly unrelated things. They break down a whole into its parts and hold all of them in mind while they reassemble the parts in a new way. 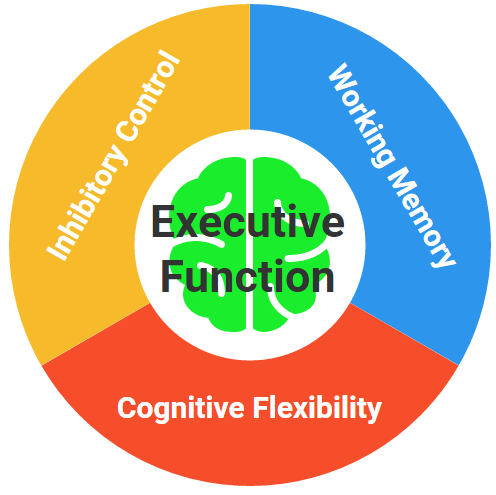 How do we build executive function? If you start to look closely at yourself and the world around you then you will start to notice things, maybe things you have never seen or thought of before. You will get a better appreciation for the complexity and beauty of things around you. You may start to see patterns, connnections and relationships, these are very important in developing your executive functioning further. When you begin to look closely you begin to notice a lot of things, this is where you need to stop and think. You may notice that you skip questions with fractions in them as you don't like working with fractions, when you stop and think you can make the choice to try more question with fractions in them because you know you need to work on them. You may notice a pattern in a question that you are doing and you might stop and think about how you can use this newly discovered pattern to help you solve some more difficult problems. You might also notice that you do not do much work when you sit next to John so you might make the choice to sit next to someone else. Stopping and thinking allows you to turn poor choices into good ones and good choices into great ones. Exercise is great for the brain, studies have shown some strong links between exercising and the development of executive functions. Setting yourself challenges and complex tasks to complete is great in building both inhibitory control and cognitive flexibility. In challenging yourself you are going to build a much deeper understanding of whatever it is you are taking. However in taking on complex and challenging tasks you are not likely to be successful the first time, you are likely to stumble, to fail, to hit a roadblock that you find it difficult to get past. It is at this time that your inhibitory control and flexible thinking kick in. If it is a goal or a task that you are committed to achieving then in these times of difficulty you will need to also find ways to overcome that difficulty. ​Iif you are challenging yourself, it is likely that you will fail, and not just once, you are likely to have a number of setbacks along the way. It is important to realise that those mistakes are expected, they always are when learning something complex or new, what matters however is what you do next. If something you tried doesn't work it doesn't mean you will never be able to do it, it just means that you may need to try to find another way of approaching the problem. The videos below are a video series from the myfuture website. Linked to career options and aspirations these are videos are useful to use with both students and adults alike. The contain some really great information in a brief and engaging way. Video 1 - You, there! Adventurer! Video 2 - A brain full of lasers! Video 3 - The path to awesome!